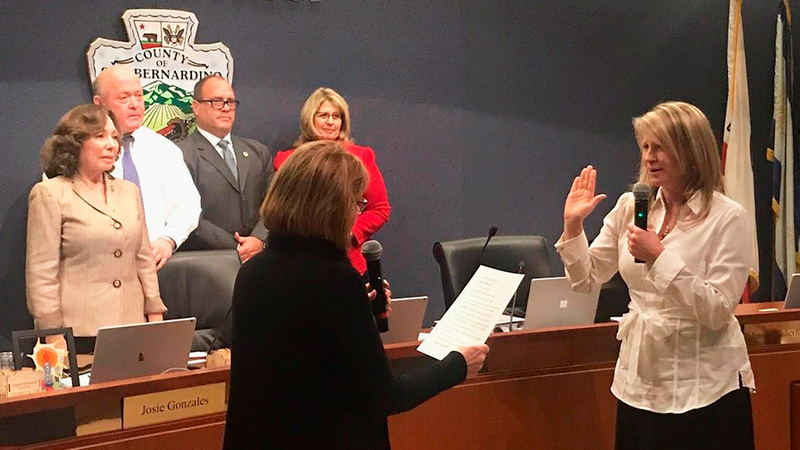 On Tuesday, December 18, the San Bernardino County Board of Supervisor appointed Dawn Rowe, a Republican field representative for U.S. Congressman Paul Cook (8th Congressional District), to represent the county’s Third District. Rowe now fills the vacancy left by former Supervisor James Ramos (Democrat) who was elected to the California State Assembly in November. While many are celebrating the Board’s new female majority—the first in its history, others point to the Republican party’s now enhanced control over a county where Democrats hold a clear majority. According to the December 16, 2018, Weekly Report of [Voter] Registration published by the San Bernardino County Registrar of Voters, 38.3 percent of registered voters in San Bernardino County are registered Democrats while only 29.1 percent are registered Republicans. Although the county charter defines the supervisorial role as nonpartisan, and existing board members unanimously supported Rowe’s appointment, critics are not sold on the idea of appointing a Republican to a position vacated by a Democrat in a county where Democrats hold a clear majority particularly when, by the supervisors’ own admission, no less than 43 candidates were qualified and met all the Board’s requirements for consideration. The replacement selection process came under suspicion and was temporarily stymied on December 11, when Needles resident Ruth Musser-Lopéz, sent an email to the San Bernardino County Board of Supervisors (Board) accusing it of having violated the Ralph M. Brown Act. 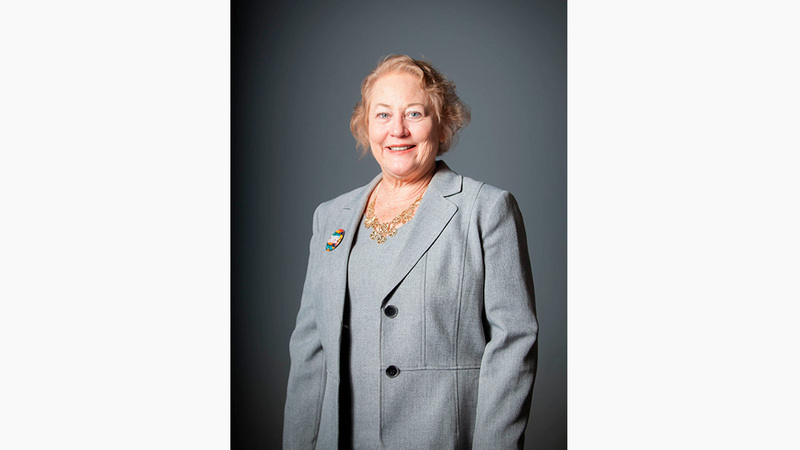 The foundation for the former Needles City Council member’s concern was initially laid on November 13 and December 4, when the Board approved and then modified an application and selection process to fill the vacant Third District seat on the Board. Musser-Lopéz’s email was triggered when the Board subsequently implemented the process steps approved and then modified on November 13 and December 4. Those actions occurred on December 10, when Board members agreed to an interview list of thirteen candidates gleaned from the 43 qualified candidates who applied; and again, on December 11, when the Board narrowed the 13 semi-finalists to a list of five finalists. The Board made those decisions behind closed doors, in secret and away from public view. The process as implemented allegedly violated the opening meeting requirements outlined in the Ralph M. Brown Act which mandates that most meetings of public bodies be held in public. Musser-Lopez summed this up in her email that in part, accused the Board of casting, “preliminary votes secretly, without a process agreed upon by the public and without publicly disclosing the votes of the individual supervisors to the public.” This is exactly what the Board did. The San Bernardino County Charter is very clear that a vacancy in the office of Supervisor will be filled by appointment by a majority vote of the remaining members of the Board of Supervisors from qualified electors of the Supervisorial District in which such vacancy exists. It also states that the position be filled by the Board within 30 days of the vacancy or the governor will appoint someone to fill the vacancy. Although the county’s charter is silent as to any process to fill the vacancy, the open meeting mandates of the Brown Act must always (with limited exception) be followed. Yet, as noted above, the Board’s process including actions to whittle down the list of candidates on two occasions, deviate from the Brown Act open meeting requirements. According to county officials, 48 “qualified candidates” initially applied for the open position. The 48 applicants were asked by the Board to submit supplemental materials consisting of responses to questions and any additional supporting materials—43 of them submitted information by the deadline on December 7, 2018. Board supervisors had planned to have a public discussion regarding its pre-determined list of the five finalists (their picks from the list of 43) last Thursday, December 13 but postponed the action after the Board received the Musser-Lopez email. The supervisors wanted to allow time for county counsel to examine the Board’s actions and determine whether the Musser-Lopez accusation had merit. Wert went on to note that the county code is silent on vacancies and although the Charter states a vacancy shall be filled by appointment by the Board of Supervisors within 30 days, and after 30 days by the governor, it fails to define a process. After consulting with legal on the merits of Musser-Lopéz concerns, the county determined it would rescind its previous actions and conduct its candidate deliberations in an open session on Tuesday, December 18, before selecting a replacement to fill the seat vacated by Ramos. Detailed in the background document associated with item 102 (Selection of Third District Supervisor) of the Board’s December 18 meeting agenda which posted online around 5 p.m. Friday, December 14, was the official rationale for the Board’s change in process related to the vacancy. In making its final decision, the Board further agreed to rely on the 43 applications submitted to the County (rather than its hand-picked list of five finalists), the supplemental questionnaires submitted by all candidates, any other documentation submitted by a candidate, and the testimony and comments presented by members of the public at the Board’s December 11, open session. The Board admitted it was taking these actions to mitigate any alleged procedural errors. It will be interesting to see whether its predetermined (now abandoned) list of five finalists still influences their final selection. In the end, the Board side-stepped and managed around concerns over alleged Brown Act violations and successfully selected Dawn Rowe, a candidate from the short list of five contenders it had previously and furtively identified. Admittedly, mid-term vacancies on any County Board of Supervisors are infrequent, yet some question what county officials have learned from this experience that can be applied in the future? According to Wert, the Board will probably not begin assessing the current process until it is completed. The other question is, what have democratic constituents learned from this process that can be applied in the future? Interested constituents who were unable to attend the public hearing on December 13 and/or the December 18 meeting, can view the proceedings at http://www.sbcounty.gov/Main/Pages/ViewMeetings.aspx. NextThe Death of Tyisha Miller, 20 Years Later: What Have We Learned?